ACE Data Recovery provides hard drive recovery on a full range of hard disk drives including internal and external hard drives of all sizes, makes and models. Our data recovery engineers have decades of experience in retrieving business and personal files from servers, desktops, laptops, and netbooks. Never assume that data on your hard drive was lost forever, no matter what it has been through. We can retrieve any data even from storage devices that other data recovery companies deem “unrecoverable”. Data recovery from damaged hard drives is a complex process that usually takes time and needs resources to complete it successfully. We partner with HDD manufacturers to improve our data recovery capabilities. Generally speaking, our specialists need to “repair” a hard drive and make it stable first to be able to retrieve any data from it. Therefore, hard drive recovery involves replacing failed components such as read/write head assemblies, logic control components, or drive motors in a clean room environment. If a hard disk is inaccessible, we first test the components and closely examine drive platters to determine the extent of physical damage. These steps enable us to layout a course of action for each individual drive. ACE Data Recovery engineers perform free evaluation and all hard drive recovery procedures in our Class 100 Clean Rooms. They are designed to maintain exceptional air purity, containing less than 100 airborne particles larger than 0.5 microns in each cubic foot of air. Such an environment is vital for protecting the sensitive internal components of hard drives. 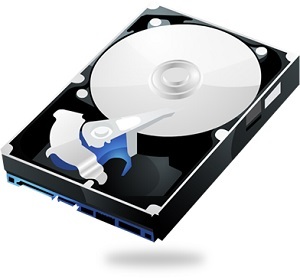 We follow only non-destructive hard drive data recovery processes that include drive sectors cloning. This means that we’ll pull data from your drive on a sector by sector basis and work directly on the clone. This procedure ensures that the drive is not damaged any further and that a second image of the original structure can be acquired if needed. Inaccessible data might be experiencing logical and/or physical hard drives failures. The process of getting data back from a logically damaged file system requires the use of data recovery software. Our Research & Development team has developed its own software to salvage our clients’ data. No special physical equipment or environment is required in such situations. After that our engineers will recover your data by using highly sophisticated techniques and proprietary equipment and software. The average time for completing hard disk recovery is 3-5 Business Days. After we validate the data, we’ll place it on a free suitable return media, whether it is another hard drive, flash drive, or your own storage device. Our hard drive recovery process meets manufacturer’s requirements and will not void your original warranty. "I'll definitely recommend them "
Great company, were very professional and helpful getting my issues diagnosed and fixed. Further, they were able to get the recovery job turned around a lot faster than they had originally estimated (day-wise that is) with no data loss.